“Fr. William G. Most (1914-1997) will not end up numbered among first-rank apologists, but his book Catholic Apologetics Today (now out of print) came to my attention just when I could profit from it. It appeared as I was putting together the newspaper columns that, when collected and revised, became my first book. Every Fundamentalist I have dealt with—or so it has seemed—has faulted the Catholic Church for teaching, supposedly, that we are saved through good works. We earn our salvation by what we do. Although I took the usual route of referring Fundamentalists to James 2:17 (“faith without works is dead”), I learned early on that that scriptural verse failed to make much of an impress on them. A few seemed to be wholly unfamiliar with that book. That might seem unlikely, given that Fundamentalists style themselves “Bible Christians,” but many of them read (or study) only those parts of the Bible recommended to them by their preachers. Those who read the whole of the Bible often have little appreciation of the import of some passages, such as John 6, in which the Eucharist is promised and described. James’s comment on works is another. “Faith without works is dead” either is passed over or, at most, is interpreted to mean that good works have no significance higher than public affirmation of having “accepted Jesus Christ as Lord and Savior.” Doing good works is a good thing—but not a necessary thing. It was through reading Most that I adopted a formulation that helped clarify the discussion. It came from his making a distinction between the way James wrote about faith and the way Paul wrote about it. They used the same word but in differing senses. “Is it true that there is salvation in faith alone?” asks Most. “Definitely, yes!” It is “the chief theme of Galatians and Romans.” Yet James could write that “a man is justified by works and not by faith alone” (James 2:24)—a seeming contradiction. Either salvation is by “faith alone,” as Luther so imperiously insisted, or it is not; either it comes through faith and nothing else or through faith plus something else. Which is it? Here comes the crucial part. Most says that “Paul does not mean that works can earn salvation—but violation of the law can earn eternal ruin.” (do good/avoid evil*. how? by doing good!) Paul does not disagree with James, but he uses a broader sense of faith: “total adherence of a person to God in mind and will. This, in turn, implies certain things.” Chief among the implications is that works have a kind of negative role to play in salvation, this being the main takeaway I had from Most. 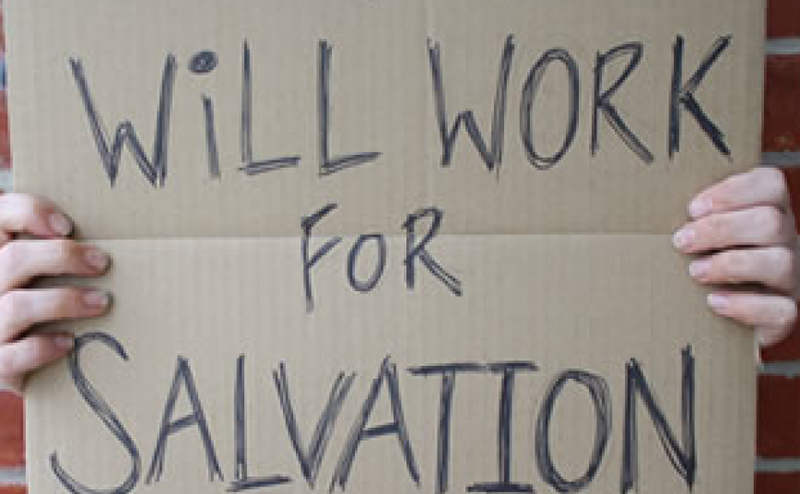 We can affirm that salvation is through faith, but salvation can be forfeited through sin. Salvation is a gift, but any gift can be rejected or returned to the giver. Something taken on by compulsion (Ed. or forced on you, i.e. slavery, the “gift” of faith) is not a gift. Once a Christian is in the state of grace (Ed. the “readiness/worthiness/ability to receive/having received” the gift), through baptism or through repentance followed by sacramental confession, s/he is, at that moment, “saved”: were s/he to die in that state (Ed. of grace, readiness/worthiness to receive/having received), he would end up in heaven, even if with a sojourn through purgatory. But his/her state is precarious. There is no adult Christian who has not fallen out of grace through sin. “All have sinned and fallen short of the glory of God” (Rom. 3:23). Someone who has not fallen short of the glory of God, however transiently, is someone who is imbued with God’s grace (Ed. “O Mary conceived without sin…”; Hail Mary, full of grace…, Immaculate Conception, Assumption, etc. ); to fall short is to fall into gracelessness. This was, for me, Most’s most valuable point. The Fundamentalist, thinking about Catholicism’s insistence that good works are necessary, thinks we believe that we bring salvation to ourselves. (Pelagianism) The Catholic can answer by saying that good works are shields against bad works (do good/avoid evil. how? by doing good!) (Prov 16:27.). Without good works, there is no prospect that a Christian can maintain grace in his soul, the opportunities to fall from grace being ubiquitous and, often enough, seemingly irresistible. Help is needed if they are to be resisted, and that help comes in the form of habitually performing good works, whether in the form of prayer, almsgiving, or something else. -from https://www.catholic.com/magazine/print-edition/faith-and-works-0, this is GOOD!!! You SHOULD read the WHOLE thing!!! I didn’t say “easy”. I just said GOOD!!!! “Following the Protestant Reformation, the Catholic Church held an ecumenical council in the Italian city of Trent to deal with the theological questions that were being debated. The Council of Trent issued the Decree on Justification (DJ), which set forth the Catholic position on the subject…This is the case with the idea that we need to earn our place before God by doing works…According to Trent, “none of those things that precede justification, whether faith or works, merit the grace (Ed. gift) of justification. ‘For, if by grace, it is not now by works, otherwise,’ as the Apostle says, ‘grace is no more grace’” (DJ 8, quoting Rom. 11:6). When we come to God and are justified, it happens WITHOUT ANY MERIT ON OUR PART (emphasis added). Neither our faith nor our works—nor anything else—merits justification...If you go through Trent’s Decree on Justification, or the section on justification in the Catechism of the Catholic Church (CCC 1987-1995), you won’t find the phrase “faith and works.” And you won’t find the word works at all in the Catechism’s section on justification. This may be surprising, but the fact that the magisterium does not express its teaching in this way is a signal that we need to look more closely at what it says…. …Earlier we mentioned that Protestants tend to conceive of justification as an event that occurs at the beginning of the Christian life (Ed. “I accept Jesus Christ as my PERSONAL? (what about everybody else?) Lord & Savior! = saved) where we are forgiven and declared righteous by God, and we said that this understanding is true as far as it goes. But in the Catholic view, there is more to justification than this. In the first place, God doesn’t simply declare us righteous. He also makes us righteous in justification. Thus the Council of Trent defined justification as “not only a remission of sins but also the sanctification and renewal of the inner man” (DJ 7). So at the beginning of the Christian life (being “saved”), God forgives our sins and gives us the gift of righteousness. But He’s not done with us!!! (Ed. how is THIS NOT obvious?) He wants us to grow in righteousness over the course of the Christian life, and, if we cooperate with His grace, we will. The Council of Trent harmonizes the necessity of grace and works: “If anyone says that man can be justified before God by his own works, whether done by his own natural powers or by the teaching of the Law, without divine grace through Jesus Christ, let him be anathema” (Session 6; can. 1). Most scholars today think that the book of Revelation was written around the year A.D. 95, during the reign of the Roman Emperor Domitian. Historically, though, many thought it was written earlier than that, and there is a surprisingly strong case that the book was written in the late A.D. 60s or the early part of A.D. 70. Let’s take a quick look at the evidence . . .
 they are also seven kings, five of whom have fallen, one is, the other has not yet come, and when he comes he must remain only a little while. There’s pretty good evidence that the beast represents the Roman empire and that these seven kings represent the line of first century Roman emperors. Assuming that identification is accurate, that gives us a pretty strong clue about when the book was written. If five of the kings (emperors) are fallen (dead) and one is (living/reigning) then that means Revelation was written during the reign of the sixth emperor. So which would that be? Here are two possibilities . . . Still, it’s possible that this might not have made a lot of difference from the perspective of first century Jews and Christians. Technically, the Roman emperors weren’t kings at all (the Romans were very proud of the fact that they had ended the line of Roman kings and set up a republic), but they functioned as kings, and everybody understood that. This is why the crowd cried “We have no king but Caesar!” during the trial of Jesus. So if the count starts with Julius then we have reason to think Revelation was written in the reign of Nero, which was between October 13, A.D. 54 and June 9, A.D. 68. But there’s another possibility that may be even more likely . . .
Galba isn’t a very famous emperor, and one reason is that he didn’t reign very long. In fact, he reigned only a few months, during a disastrous period known as “the Year of Four Emperors,” in which Rome was torn apart by a series of bloody civil wars in which one emperor toppled another in rapid succession. But if that’s the case then, since Galba reigned such a short time, we’d actually be able to date the writing of Revelation very precisely. So it could be that Revelation was written during a very short span in late 68 or (very) early 69. Is there other evidence that has a bearing on this? You’ll recall that the seventh king was said to remain (reign) only a little while. Does that fit the situation? Yes. In fact, it fits both of the possibilities we’ve mentioned. If Nero was reigning then Nero’s successor, Galba, certainly reigned a short time–just barely over 7 months. If Galba was reigning then, since he was reigning in the Year of Four Emperors, his own successor–Otho–lasted only a short time as well, just 3 months (from January 15 to April 16, A.D. 69). but do not measure the court outside the temple; leave that out, for it is given over to the nations, and they will trample over the holy city for forty-two months. This passage speaks of the Jewish temple in Jerusalem as if it is still standing. The text speaks of the gentiles (or nations, same word in Greek) trampling the holy city (Jerusalem) and invading the temple courtyard. They also invaded and destroyed the temple itself, but the text speaks of this as not having happened yet, since John is told to measure the temple, its altar, and those worshipping there. So it was still functioning. Since the temple was destroyed on August 5, A.D. 70, that also suggests that Revelation was written before this date. 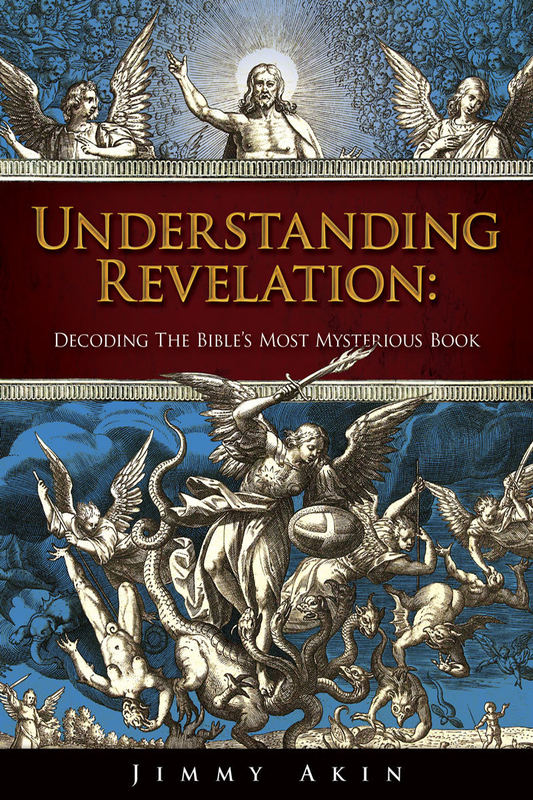 Want to know more about what is arguably the most misunderstood book in Scripture? 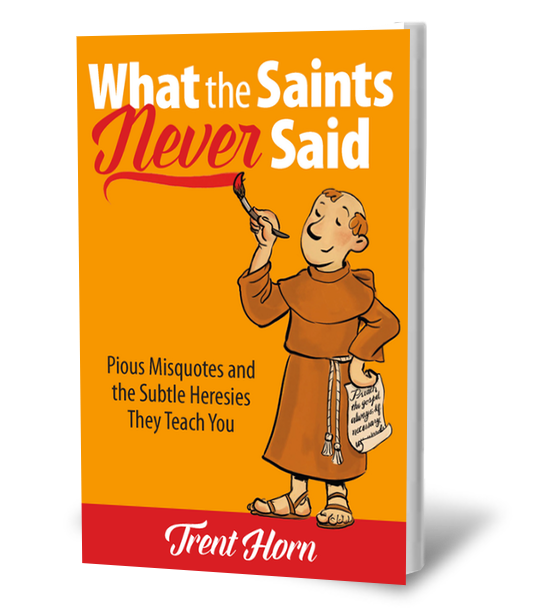 What the saints never said!!! “God helps those who help themselves.”—The Bible? During his tenure as the host of The Tonight Show, Jay Leno would approach random people on the street and ask them basic questions about American history or culture—questions they usually bungled. The hapless subjects of these “Jay-walking” segments didn’t fare any better when asked about religion. The irony, of course, is that America’s most memorable Bible verse is not only not in the Bible, it undermines what the Bible does say. The Bible praises the value of hard work, as can be seen in Proverbs 13:4, which says, “The soul of the sluggard craves, and gets nothing, while the soul of the diligent is richly supplied.” Proverbs also gives this advice: “Commit your work to the Lord, and your plans will be established” (16:3). In one sense, God does help those who do good for others or even themselves. But it is not true that God’s help is reserved for those “who help themselves.” In fact, Scripture teaches that God has a special concern for those who cannot help themselves. When the Blessed Virgin Mary praised God as her savior, she didn’t boast about her own accomplishments that spurred God to intervene on her behalf. Instead, she thanked God because he “regarded the low estate of his handmaiden,” and it was for this reason all generations would call her blessed (Luke 1:47-48). Mary said of those who were great at helping themselves, like the proud, the mighty, and the filled, that God would scatter, put down, and send them away empty (Luke 1:51-53). She then said that God “has helped his servant Israel, in remembrance of his mercy”—not because of anything Israel did itself. Scripture even warns against trusting one’s efforts apart from God, or as Proverbs 28:25-26 says, “A greedy man stirs up strife, but he who trusts in the Lord will be enriched. He who trusts in his own mind is a fool; but he who walks in wisdom will be delivered.” This becomes all the more obvious when we examine God’s help in the matter of sin and how he delivers us from eternal damnation. “God moves in mysterious ways”—The Bible? “For this slight momentary affliction is preparing for us an eternal weight of glory beyond all comparison, because we look not to the things that are seen but to the things that are unseen; for the things that are seen are transient, but the things that are unseen are eternal” (2 Cor. 4:17-18). “Spare the rod, spoil the child.”—The Bible? Is the New Testament historically true? One of the most disturbing recent developments is the rise of a phenomenon called “Mythicism,” which is a form of skepticism so extreme it denies that Jesus Christ ever existed. Today there are countless people, many of them young, who know next to nothing about the historical basis of the Gospels but who have encountered Mythicist websites telling them that Jesus never existed and that the whole of the Christian faith is a lie. Many Mythicists even claim that Jesus Christ is a legend based on a pagan god. And Mythicists Are Only the Tip of the Iceberg! Not all skeptics are as extreme as the Mythicists. 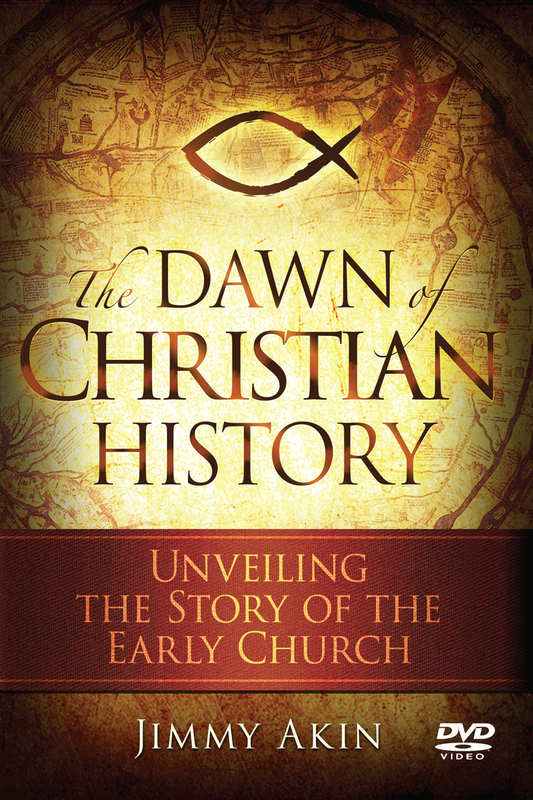 Many may not deny that Jesus existed, but they believe that the New Testament is fundamentally unreliable as history. The “Historical Jesus” is supposed to be different from the “Christ of Faith.” The idea is that whoever Jesus was and whatever he did, he wasn’t the figure that the Christian faith proclaims. The bad news is: People of this stripe far outnumber even the Mythicists! And so many people today are easy pickings for the skeptics! Most people today know nothing about history. 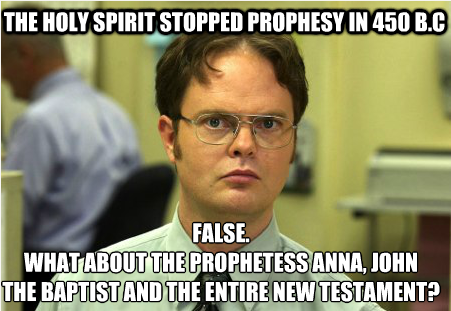 Even most Christians would be floored if asked how to argue that the New Testament is historically reliable. In the Song of Songs, the eros in Scripture, the groom, the masculine, refers to the feminine as “sister”. While this can be most disorienting to modern readers, one must read this not in terms of genetic familiality, but in terms of the family of man. We are all brother and sister to each other. “Am I my brother’s keeper?”, Cain replied to the Lord. (Gen 4:9) Yes, you are. And, your sister’s, too, though your parents had no daughter. There are many sisters for whom you, man, are most certainly keeper. “…”Thus I am in his eyes as the one who has found peace!” 319 John Paul noted that the reason for her peace is that her groom reread the language of the body in truth and therefore discovered the inviolability of her as a person. 320 While this sounds complicated, it is not. She presented herself to the eyes of the man as the “master of her own mystery.” 321 Because she is a person, no one can act on her behalf. She is free to make a gift of herself, and this freedom shows her dignity. He may not choose for her or impose his will upon her. The groom is aware of this, as indicated by the way he speaks of her. He says, “A garden closed you are, my sister, bride, a garden closed, a fountain sealed.” 322 She is a gift to be received, not an object to be grasped. Because the bride is the “master of the intimate mystery of her own femininity,” she alone can unveil the mystery and make the gift of herself. 323 On his part, the groom is required to have purity not only in his actions, but in his intentions, so as to respect her inviolability. Because he is conscious that she is a gift, she freely gives herself and responds by saying, “I am my beloved’s and my beloved is mine.” 324 John Paul continued, “The bride knows that ‘his desire’ is for her. She goes to meet him with the readiness of the gift of self. The love that unites them is of a spiritual and sensual nature together.” 325 This demonstrates why a man cannot love a woman properly as a bride without first loving her as a sister. -Evert, Jason. 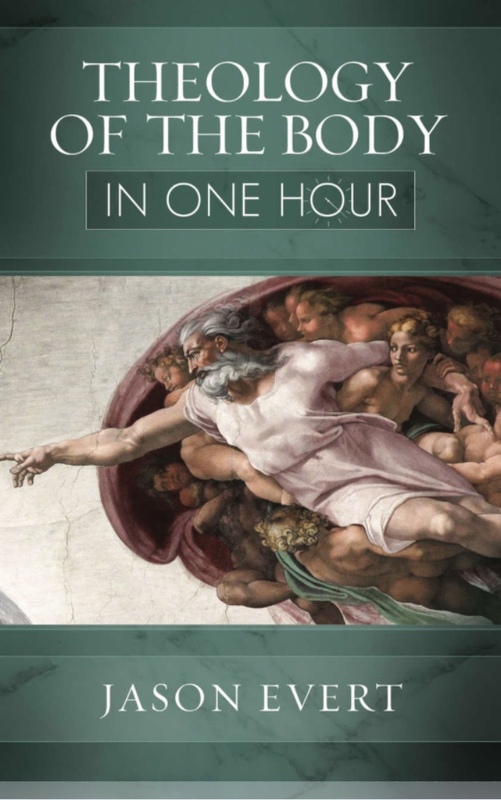 Theology of the Body In One Hour (Kindle Locations 1552-1580, 1588). Totus Tuus Press. Kindle Edition. 319 Song 8: 10; 109: 4; Cf. 110: 2. 320 Cf. TOB 110: 8. 324 TOB 110: 8; Song 2: 16, 6: 3. 326 Cf. TOB 111: 6. Creation – what Catholics MUST believe!!! 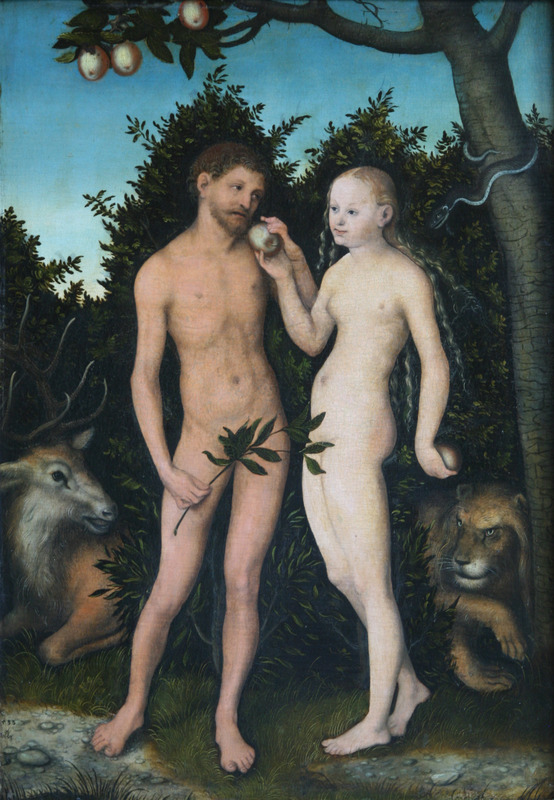 -“Adam und Eva im Paradies (Sündenfall), (Adam and Eve in paradise (The Fall)), by Lucas Cranach the Elder, 1533, oil on beech wood, Height: 50.5 cm (19.9 in). Width: 35.7 cm (14.1 in), Gemäldegalerie, Berlin. In addition, Catholics cannot “embrace that opinion which maintains that either after Adam there existed on this earth true men who did not take their origin through natural generation from him as from the first parent of all, or that Adam represents a certain number of first parents.” With these two caveats, Catholics are free to accept, partially accept or reject the theory of evolution. 1. The creation of all things by God at the beginning of time. 2. The special creation of man. 3. The formation of the first woman from man. 5. The original happiness of our first parents. 6. The divine command placed upon man to prove his obedience. 8. The fall of our first parents from the state of innocence. 9. The promise of a future redeemer. Presence of God – O my Lord and Redeemer, grant that I may understand the deep intimate ties that bind You to us, whom You have redeemed. Jesus is the “one Mediator between God and men” (1 Timothy 2:5); however, He did not will to effect the work of our redemption independently of us, but used it as a means of strengthening the bond between Himself and us. This is the wonderful mystery of our incorporation in Christ, the mystery which Our Lord Himself revealed to His apostles the night before His Passion. “I am the true vine; and My Father is the husbandman…. Abide in Me, and I in you. As the branch cannot bear fruit of itself, unless it abide in the vine, so neither can you, unless you abide in Me” (John 15:1,4). Jesus strongly affirms that there is no redemption, no supernatural life, no grace-life for one who does not live in Him, who is not grafted onto Him. He points to the vine: the shoots will not live and bear fruit unless they remain attached to the trunk. Jesus wishes to actualize this close connection between Himself and us, a connection which is necessary for our salvation and sanctification. We cannot receive the least degree of grace except through Christ’s mediation, even as the smallest drop of sap cannot reach a branch which is detached from the tree. 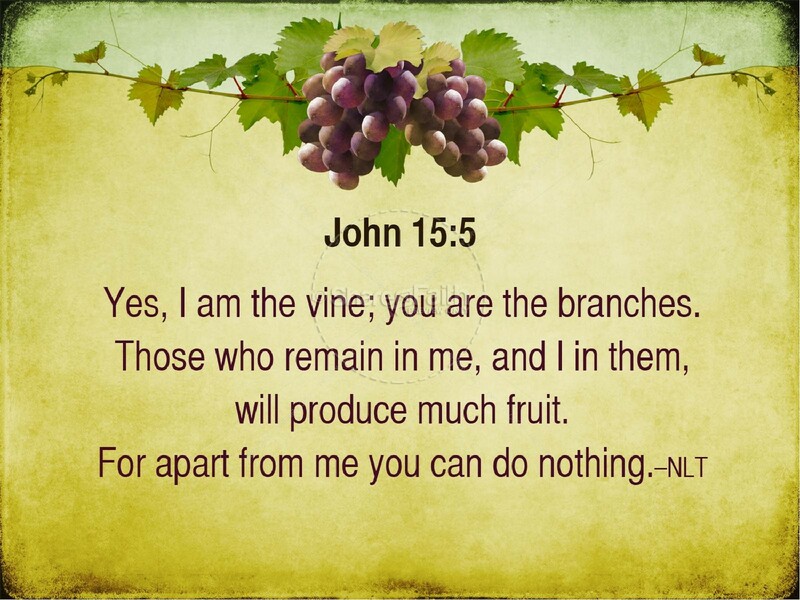 Moreover, Jesus declares that, if we abide in Him, we shall not only have supernatural life, but we shall become the recipients of special attention from our heavenly Father, the “Husbandman” of the mystical vine. In fact, our heavenly Father acknowledges us as His adopted children, loves us as such, and takes care of us, precisely to the degree in which He sees in us Christ, His only-begotten, His well-beloved Son. The grace of adoption, then, is wholly dependent upon our union with Christ, a union so close that we form, as it were, a “living part” of Him, as the branch forms a living part of the vine. “O most high and eternal Trinity, Deity, Love, we are trees of death, and You are the tree of Life. O infinite God! How beautiful was Your creature when a pure tree in Your light! O supreme purity, You endowed it with branches, that is, with the faculties of the soul, memory, intellect, and will…. The memory, to recall You; the intellect, to know You; the will, to love You…. But this tree fell, because by disobeying it lost its innocence. Instead of a tree of life, it became a tree of death and brought forth only fruits of death. This is why, O eternal, most high Trinity, in a sublime transport of love for Your creature, seeing that this tree could produce only fruits of death because it was separated from You, Who are Life, You gave it a remedy with that very same love by which You had created it, grafting Your Deity into the dead tree of our humanity. O sweet, gentle grafting!… Who constrained You to do this, to give back life to it, You who have been offended so many times by Your creature? Love alone, whence by this grafting death is dissolved. Was Your charity content, having made this union? No, eternal Word, You watered this tree with Your Blood. This Blood, by its warmth makes it grow, if man with his free will grafts himself onto You, and unites and binds his heart and affections to You, tying and binding this graft with the bond of charity and following Your doctrine. Since it is through You, O Life, that we bring forth fruits of life, we wish to be grafted onto You. When we are grafted onto You, then the branches which You have given to our tree bear fruit” (St. Catherine of Siena). 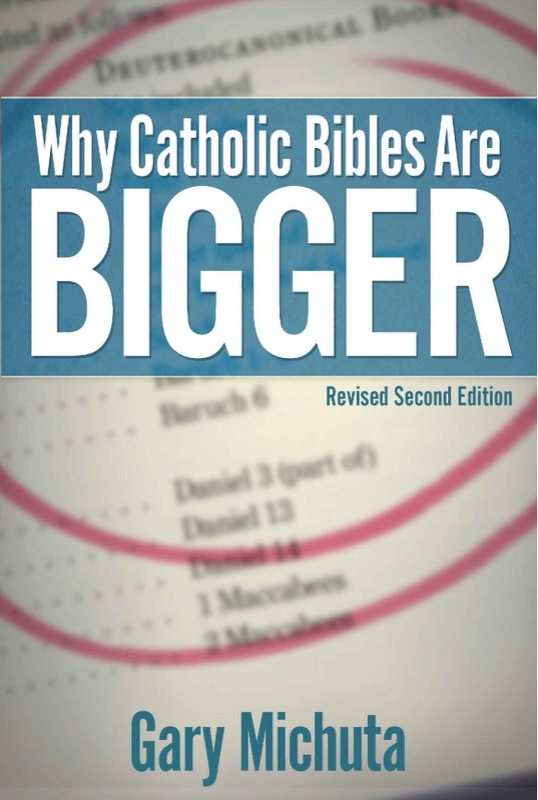 Why are Catholic Bibles bigger? “If the Council of Trent didn’t add the deuterocanon to the Bible, as its deliberations show, why do Protestant bibles exclude these books? Before 1599, nearly all Protestant bibles included the deuterocanonical books; between the years 1526 to 1631, Protestant bibles with the deuterocanon were the rule and not the exception. It was not until the middle of the seventeenth century that the tide began to turn toward smaller bibles for Protestants. By 1831, the books of the deuterocanon, along with their cross-references, were almost entirely expunged from Protestant translations. This eradication has been so complete that few Protestants today are aware that such editions of Scripture ever existed. This process of eradicating the deuterocanon began with Martin Luther. Luther is the father of the Protestant Reformation. 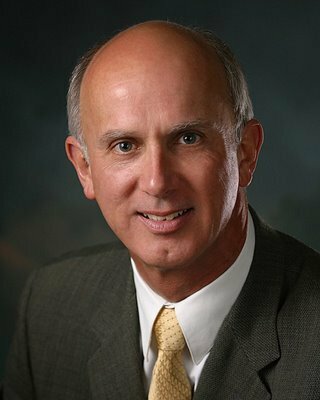 He grew up in a Catholic family and became a priest and monk of the Augustinian order. It is during this time that he became embroiled in a controversy over the issue of indulgences, which led to the publication of his Ninety-Five Theses in 1517. The publication of the theses is generally seen as the beginning of the Protestant Reformation. Luther was very much a child of his age. He too was caught up in the enthusiasm for studying the ancient languages, exposing him to the exaggerated importance of Jerome. This background led to his German translation of Sacred Scripture, which we will speak about later. Catholic apologists sometimes claim that Martin Luther removed the deuterocanonical books from Scripture. This is not entirely true. 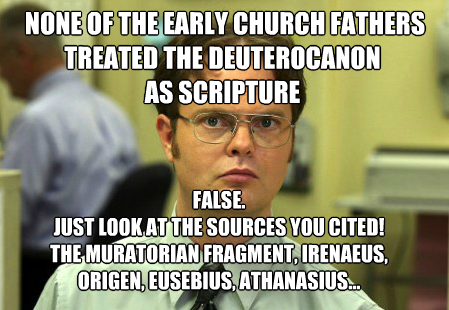 Luther’s German Translation of the scriptures included the deuterocanon. In fact, the completion of Luther’s German Bible was delayed because an illness prevented him from finishing the section containing those books! And since Luther’s Bible (with its “Apocrypha” section that contained the deuterocanon) became a paradigm for subsequent Protestant translations, most of these bibles also included them as well. It is, therefore, incorrect to say that Luther removed the deuterocanon. He did, however, introduce certain innovations into his translation that led eventually to smaller Protestant bibles; innovations that were the culmination of a process of development within Luther’s theology. Luther’s German translation of the Bible introduced more than one radical innovation. With rare exceptions, Christian bibles before Luther had not only included the deuterocanon, but intermixed these books with the rest of the books of the Old Testament. Even John Wycliffe, considered by Protestants to be a role model of Bible translators, followed this practice. Luther’s Bible broke with this traditional practice. Instead, he reordered the books of the Old Testament chronologically, removing the deuterocanonical books from their former place in the story of salvation and giving them the appearance of being extraneous to the word of God. Luther’s second novelty was the gathering of the deuterocanonical books into an appendix at the end of the Old Testament and marking them Apocrypha. The title page of this new appendix is prefaced by this explanatory remark: Apocrypha—that is, books which are not held equal to the holy scriptures and yet are profitable and good to read. We must not read too much into this title Apocrypha; as we have seen, the meaning of the term had become quite fluid and confused by Luther’s time. Some writers used it to mean “spurious writings of merely human origin”; others had no difficulty using it for books they themselves considered canonical Scripture! What did Luther mean by it? Although segregated and devalued, the deuterocanon still remained part of Luther’s Old Testament corpus. Luther’s prefaces to the various books of his Bible reflects his “canon in a canon” vision assessing each book differently. 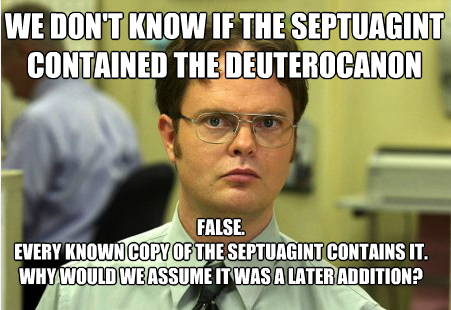 Indeed, Luther’s criticisms were not restricted to the Old Testament deuterocanon, but included the New Testament deuterocanon as well. “One evening I had the sad duty of attending my neighbor’s funeral. My neighbors were not religious, but apparently a local “mega-church” offered to conduct the eulogy for them. The assistant pastor from the church stood up and after a few short remarks about the deceased began to give a lengthy sermon. The first ten minutes was dedicated to how he knew that my neighbor believed in Jesus and was in heaven, so there was no need to pray for her or offer Masses or anything like that. The next thirty minutes or so (it’s difficult to tell since it seemed like eternity) was dedicated to explaining why it doesn’t matter which church one attends—Catholic, Presbyterian, Methodist, Episcopalian, Lutheran—they are all the same! None of them are more correct than any other. “We all believe in the same fundamental biblical truths about Jesus,” he said, “such as the need to put our faith in Jesus…” and so on. The assistant pastor seemed to be oblivious to the fact that Catholic and Orthodox bibles contain seven books in their Old Testament that Protestant bibles omit. Catholics call these books the deuterocanon. 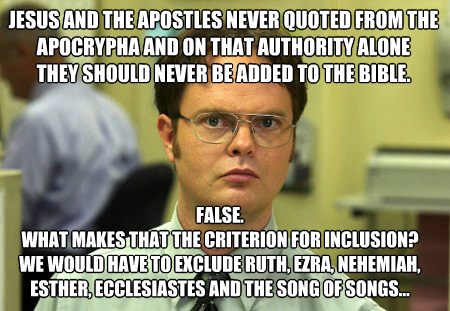 Protestants, however, had rejected these books as inspired texts and call the Apocrypha. 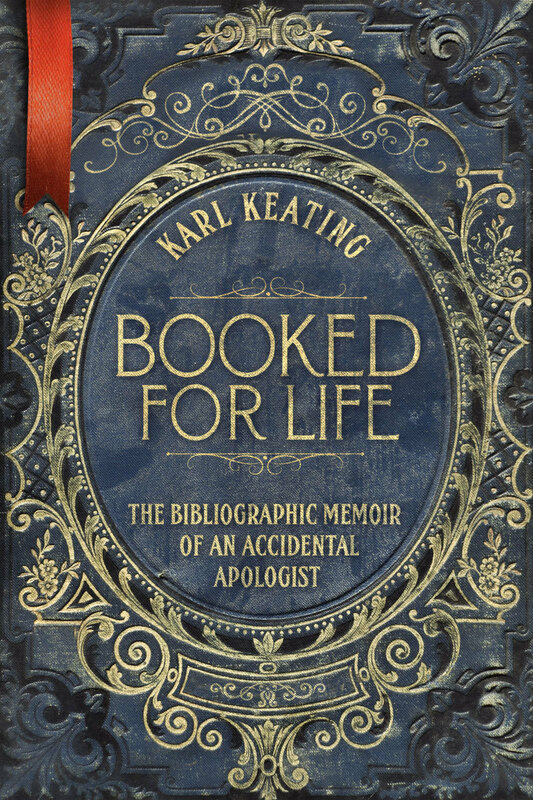 Despite the assistant pastor’s best efforts to be non-denominational and dispel the importance of religious dogmas, he and his church actually held a very dogmatic view on which books belonged to the Bible. Going by the generic name of “Christian” didn’t release him from dogmatically committing himself to a particular doctrine on which books the Bible comprises. This position is undeniably important. Which collection or canon one adopts, whether Catholic or Protestant, will determine whether the first ten minutes of his sermon was “biblical” or a flight of fancy. The question of which books belong to the Bible (especially the Old Testament, since Catholics and Protestant share the same New Testament books) is more fundamental of a question than anything in anyone’s theology, because theology is to be based upon divine revelation. What makes up God’s revelation, therefore, has a direct impact on one’s theology. This is especially true for Protestants who believe in sola scriptura, which says that the Bible is the only source of Christian doctrine. It is, for nearly all Protestants, the norm that sets all norms and the standard that sets all standards: the highest court of appeal for judging all doctrine. But as we have painfully learned over the last few decades, those who are allowed to sit on the Supreme Court will affect how the court rules. This assistant pastor’s “Supreme Court” (i.e., the Bible) informed him that we should not pray for the dead, but Catholic and Orthodox bibles affirm that we should. Each position is “biblical” given its respective Bible, but which Bible has the correct books? Which books are inspired by the Holy Spirit and which ones are mere human apocrypha? This question needs to be settled first. How did Protestants and Catholics end up with two different Old Testaments? Protestants claim that the Catholic Church added the seven books of the “Apocrypha” to the canon of Scripture in order to refute Protestantism. This is generally said to have occurred at the Fourth Session of the Council of Trent (April 8, 1546). 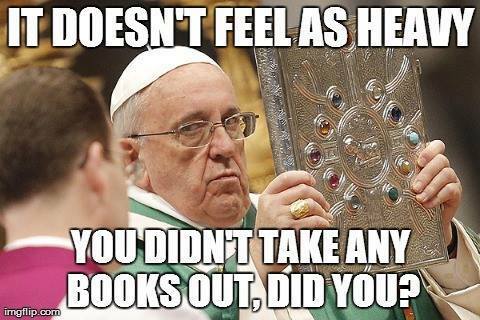 Catholics make the opposite claim; they claim that these same books were always considered inspired Scripture, but they were rejected by Protestantism because their teaching contradicts certain areas of Protestant theology.